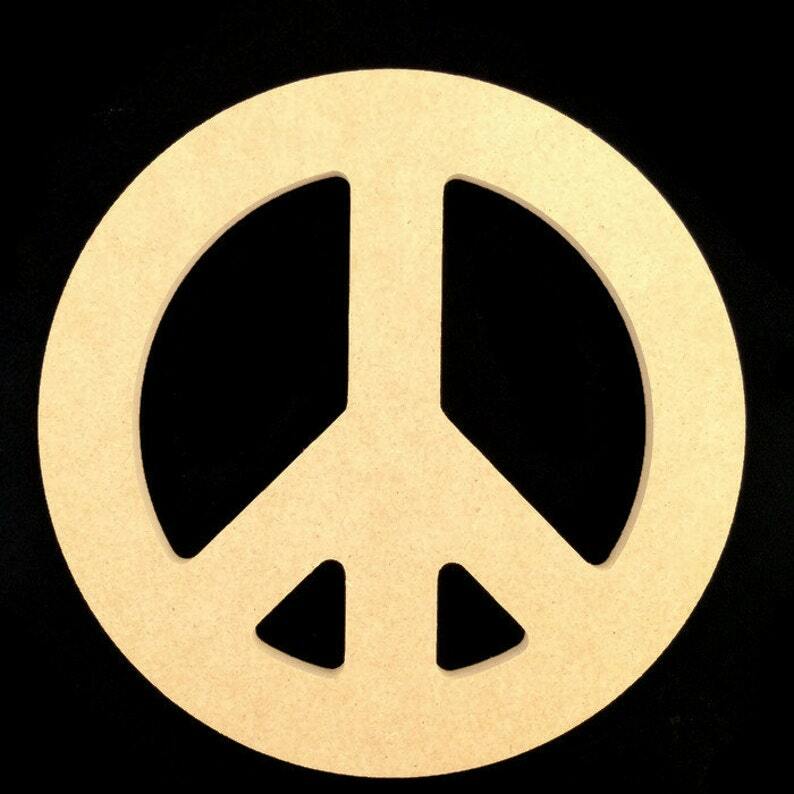 5 12" Peace Sign made from 1/2" MDF. All of our designs are cut from Plum Creek MDF consisting of 80% recycled materials. These Peace Signs can be covered with scrapbook paper, glitter, or can be painted and are great for church and home projects, home decor, gifts, etc. They will paint very well to suit your decorative ideas, but they do not stain well. May require light sanding. Sizes available" 4", 6", 12", 16", 24". See other listings for more sizes. Order will ship 7 - 10 days after payment is received. Forms as ordered. Quick delivery.